I'm back from GDC and wanted to get this build out to you quickly with a few bug fixes that we introduced in Build 40 and also talk about what you can expect to see in Build 41. First on the GDC topic, if you are interested in hearing about my experiences at GDC, then you can tune in to the GGDA stream tomorrow night at 8 PM ET and listen to me (and a group of other Atlanta based indie devs) talk about it! Here's the Facebook event and the twitch channel link (it's also streaming some other places). As mentioned above, the Procedural Level Generation will be a primary focus. The goal is to have more variety to the missions and less square shaped levels. We'll get some interesting paths through the facilities and try to make give you interesting choices about how to approach whatever mission you are undertaking. We'll probably post more details on this topic next week. Step out and fire. We're going to take a shot at cleaning up some cover issues, making wall edges function as cover, and introduce a "Step out and fire" mechanic when behind a wall. It will be interesting to see how this impacts the game but it seems like it could be a good change. Ambient Sound Work. This became very obvious when 40.5 was release and we removed the Voice Over. The game was WAAAAYYYY too quiet. I've been collecting interesting sounds for a while now and will work on getting them into this build. New Grenade Sprites and icons are ready and those should be in the next build. @Vakerics did some amazing work there. Added the Voice Overs back into the game. This is probably temporary but we won't take them out again unless the rest of the game sounds so great that you don't even notice! 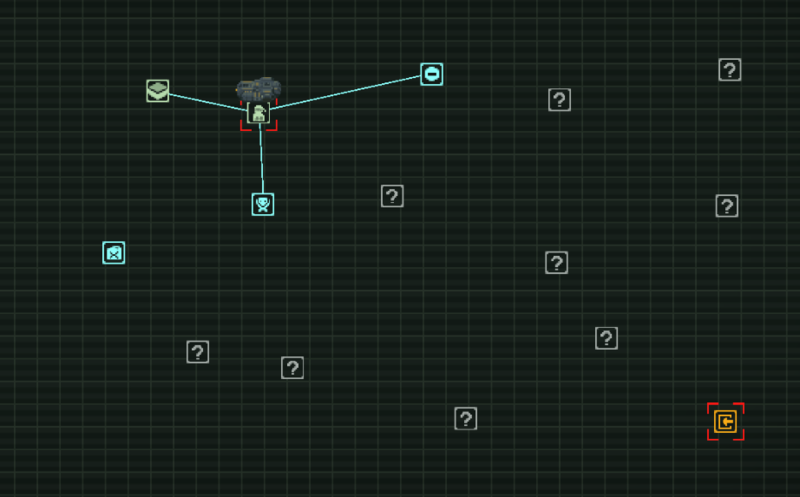 Some of the new "Trap" missions couldn't be completed due to multiple tile maps being spawned in the same location, which hosed pathfinding. I think we got this one temporarily fixed, but we are working refactoring the procedural level generation, though that's included in this build. Weird things happening with the maps. Like some nodes not getting unlocked. I still think there might be a few things but we wanted to fix what we could quickly. Upgraded the map icons to better fit the style of the rest of the game. We still don't have a fix for the "disappearing high level characters" bug that several of you have reported. If we can figure it out, we may push out a 40.7 update to get that resolved but no ETA yet. Just noticed that a character without the Sniper class is not being penalized properly. You shouldn't be able to move and fire unless you have that class. Had some reports on the sub getting stuck at a node and I'm not sure we got that one resolved either. Quitting the game and reloading seems to be the workaround for now. Find any other bug? Let us know here!